India as a developing nation has numerous engineering colleges that provide the necessary training in the field of technology. R.M.K. College of Engineering and Technology (RMKCET) marks their difference among the engineering institutes in the country by imparting cutting-edge engineering education that is not only restricted to the classrooms, but goes beyond the four walls for the welfare of the society. "We want to produce engineers who can be really useful to the society. The four-years of study here is a journey of transformation - from an ordinary student to an extraordinary professional. Innovation and creativity are the keywords in this process," pinpoints Dr. T. Rengaraja, Principal, R.M.K. College of Engineering and Technology. RMKCET has four departments, Computer Science and Engineering (CSE), Electronics and Communication Engineering (ECE), Electrical and Electronics Engineering (EEE), and Mechanical Engineering (MECH). Now the institute hosts over 1700 students in various departments and encourages students for self-learning under the guidance provided by their efficient faculty members. Maintaining a 15:1 student â€“ faculty ratio, the aim of imparting a holistic learning environment persists in a dynamic way at RMKCET. "The teachers and students along with other staff dedicate their mind and body, heart and soul into the making of the institute unique in all respects," adds Dr. T. Rengaraja. The institute has 15 centres of excellence which have been set up to deal with Information Technology, Cloud Computing, Internet of Things, wherein 50-60 students are involved in activities and projects related to them. Students are taken to the industry for internship, value added programs, industry visits and workshops to complement the implementation of the theory. These centres of excellence help students with an exposure to the outside world where they would showcase their professional skills. 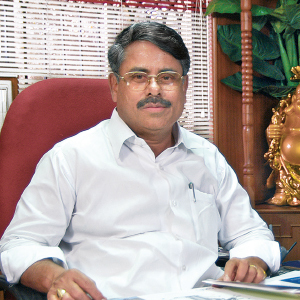 "We strongly care for our stake holders, mainly the students, parents, and the industry and develop good rapport with the organizations to deliver the best of our students," says Dr. T. Rengaraja. RMKCET has been emphasizing on Research and Consultancy (R&C) in various areas of engineering through research projects funded by the external agencies such as ISRO, DST, DAE and so on. Organizing International and National Conferences, Symposiums, Seminars and Workshops funded by the institute and external agencies such as AICTE,BRNS,IET,ISTE; the institute has been encouraging the process of research among faculty and students simultaneously. The academic excellence that has been attained through rigorous teaching methods and research activities has helped the institute to attract large number of corporate companies to recruit our best minds. Last year, 96 percent of students were placed in plum jobs with highest annual emolument of Rs. 10 LPA and an average of Rs. 3.5 LPA. This year too, RMKCET has seen over 98 companies visiting the campus throughout the placement season. Some of the sections of students are seen to prefer higher studies while others innovate, evolve and improve products for the use of common man .The institute provides a certain amount of guidance to these students. The Entrepreneurship Cell of RMKCET regularly conducts awareness program on entrepreneurship and training programs to inculcate the basic sense of skills required and to channelize their ideas into innovations. RMKCET has a strong alumni group, which involves itself in training and preparation of senior students of the college to face the challenges posed to them when they leave the college. The RMKCET Alumni can boast of the best results produced by them in top class technical examinations. With a number of small steps we are moving towards an enviable global repute. Dr. Rengaraja, a holder of B.E Degree in Civil Engineering, M.E Degree in Structural Engineering, was awarded PhD degree in Civil Engineering (Smart Structures) by Anna University. He has over 25 years of rich experience in academic arena. The Management has credited him as "Architect of the Organization" for his role in planning and monitoring during initial stages of RMKCET. His good work continues. He had participated as Academic Council member of Madras University in planning and framing of engineering syllabus consecutively for two terms.